Seven years ago I was given the opportunity to photograph one of my very first birth stories. I had started my photography business in 2008 doing mostly outdoor natural light and studio-type work , then a couple years later I decided I wanted to do something different. 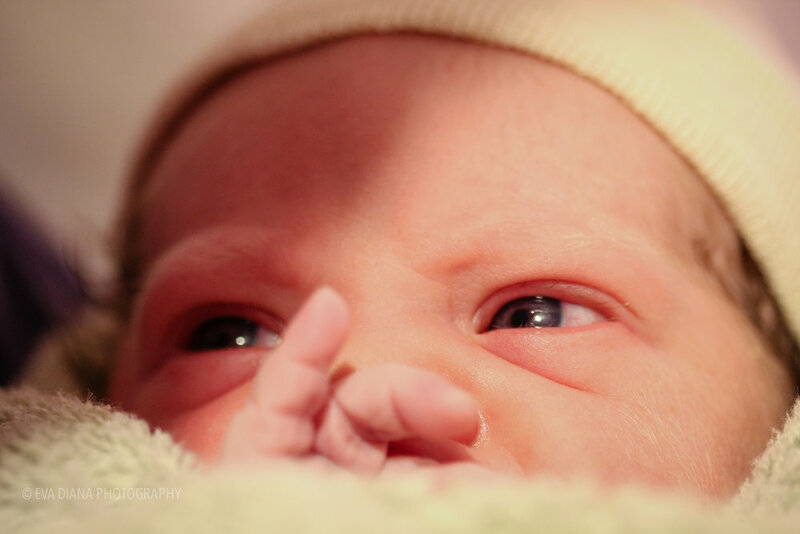 Birth photography was new and exciting and something I was passionate about since graduating from Nursing. OB class was by far my favorite and my A+ class at that. A close friend heard about my desire to work in this environment and suggested that I stop by our local birth center, Edenway in Cleburne, to offer my work to clients. I did and I was given the chance to document birth for the first time. I finally was invited back to Edenway to document the birth of Zion. Upon my arrival, I was pleasantly surprised because one of my friends was there supporting the laboring mom and I was also acquainted with the family. Mom was in the first stages of labor out in the garden. As labor progressed, we went inside to continue laboring in the tub. As the moment got closer, mom was then transferred to a bed. Baby Zion was born and soon after big sister came up from downstairs, along with her grandparents. The atmosphere was joyful and tender and grandpa said a prayer for Zion and his family. I also remember I how they personalized and celebrated the birth of Zion with matching hats for the family and the team. She was supported well and baby Zion stole many hearts that day. I am humbled to look back at my work . Seven years later I see so much growth as a professional birth photographer. I was in a situation where light was almost non-existent. For a while, the only available light was coming from a couple of candles lit by the birthing tub. I was not very experienced with shooting in complete darkness. I did not own a flash at the time so all I could do was set my camera as best as I could and brace myself. I wasn't prepared for all the emotions of birth and I was overwhelmed. To this day and almost at each birth I attend, I get emotional. And every single time I am thankful for the gift of life and meeting sweet babies. I do have the BEST JOB EVER!